A paper published on the site of FM Global. 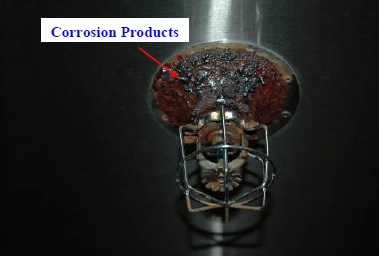 The purpose of this technical report is to explain corrosion in fire protection systems (FPS). Factors such as pipe weld corrosion, residual water in dry pipe systems, trapped air in wet pipe systems, microbiologically influenced corrosion, and corrosive water chemistry are discussed. A corrosion resistant sprinkler system for highly corrosive exhaust duct is also addressed. This report provides the basis for development of corrosion mitigation strategies of existing FPS and lays out directions for further study on corrosion mitigation and management of FPS. Ce contenu a été publié dans Publications par geraldb17, et marqué avec corrosion, Failure analysis, fire protection system, sprinkler. Mettez-le en favori avec son permalien. Étude très intéressante et bien illustrée.